The police said that they recovered 120 Tulas gold ornaments worth Rs 36,15,000, four motorcycles worth Rs 2 lakh, and six LED TVs amounting to Rs 3 lakh. In a first, the Hyderabad city police have organised a mela to return stolen goods to their rightful owners. Most of the stolen articles are jewelry, electronic goods and also vehicles which the victims do not get back in most cases since they are stolen. 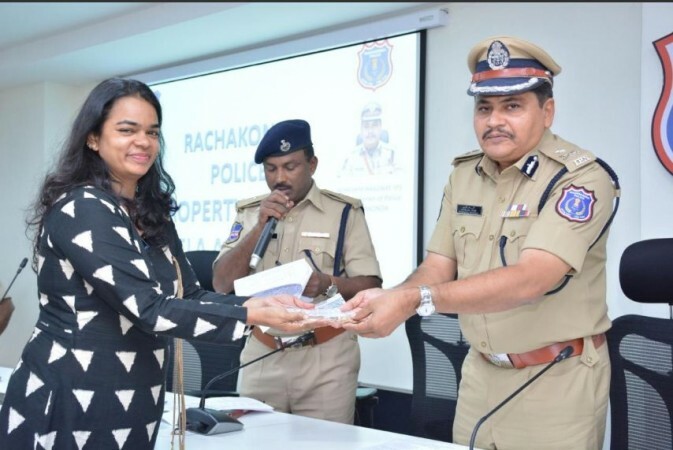 The Rachakonda police in Hyderabad recovered articles stolen in 23 cases. 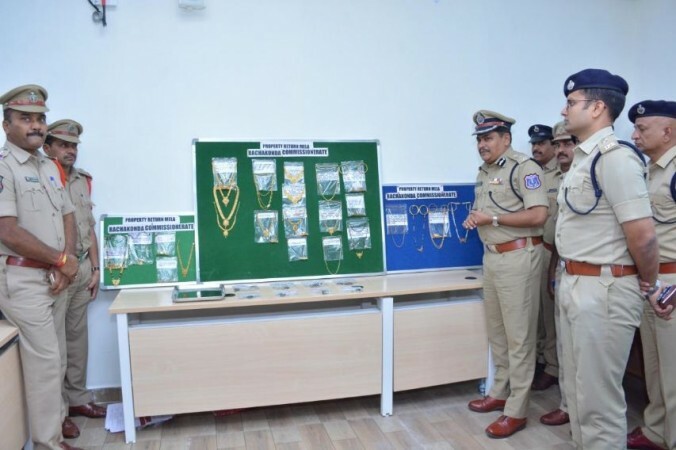 In a tweet by the Rachakonda police's from the twitter handle Mahesh Muralidhar Bhagwat IPS on April 17, Wednesday, the police said that they recovered 120 Tulas gold ornaments worth Rs 36,15,000, four motorcycles worth Rs 2 lakh, and six LED TVs amounting to Rs 3 lakh. They totally amount to Rs 41,15,000. The police then went on to list out the property owners and what they will receive from the police. One of the main reasons the Rachajonda police organized the Property Mela was to instill confidence in the people about the law enforcement agencies and that they will not let them down. As of December 2018, the overall crime rate in Hyderabad went down by six per cent compared to the previous year, 2017. This includes theft cases such as eve-teasing, chain snatching and auto robbery. However, a report by The News Minute said in 2017, there were 53 reported cases but the number dropped to 20 in 2018. The Hyderabad police told TNM that the rate of conviction had also gone up in 2018 compared to the previous year. The police commissioner now aims to install CCTV cameras in the Hyderabad and Rachakonda jurisdictions which will make crime solving through facial recognition methods.